1) To introduce Shakespeare in a way that is interesting, engaging, relevant, and maybe even fun. 2) To develop literacy and comprehension skills by looking at literature in different forms, and communicating understanding in a variety of ways. 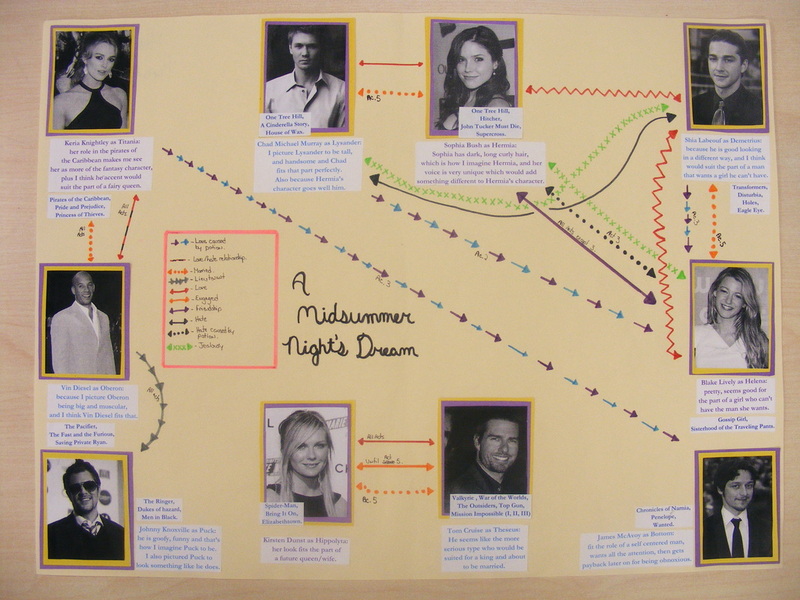 3) To give students the skills to effectively understand Shakespeare's language and style. In the style (loosely) of Shakespeare himself, students will be composing a Sonnet based to some degree on the themes of love or relationships. Completed sonnets will be 14 lines, (ten syllables each,) and typed. They do NOT have to rhyme, but students choosing to write rhyming sonnets can follow Shakespeare's A-B-A-B rhyme pattern. Proper use of punctuation and grammar is still expected, and sonnet should be logical organized with a clear introduction and closing. More detailed information about this can be found below on the assignment handout, and examples are provided below. A Pessimistic Sonnet, or What I Worry About Sometimes When I Can’t Sleep. Love was pushed aside and left undisturbed. Was it a lack of common interests? Or maybe too much time spent with the kids? At some point we stopped knowing each other. I never writ, nor no man ever loved﻿. But movies are not the same in real life. Because you don't know that person at all. But in the movies, none of that matters. They make it look so perfect and easy. Fall in love they have to know each other. Sometimes love can take years to find and keep. 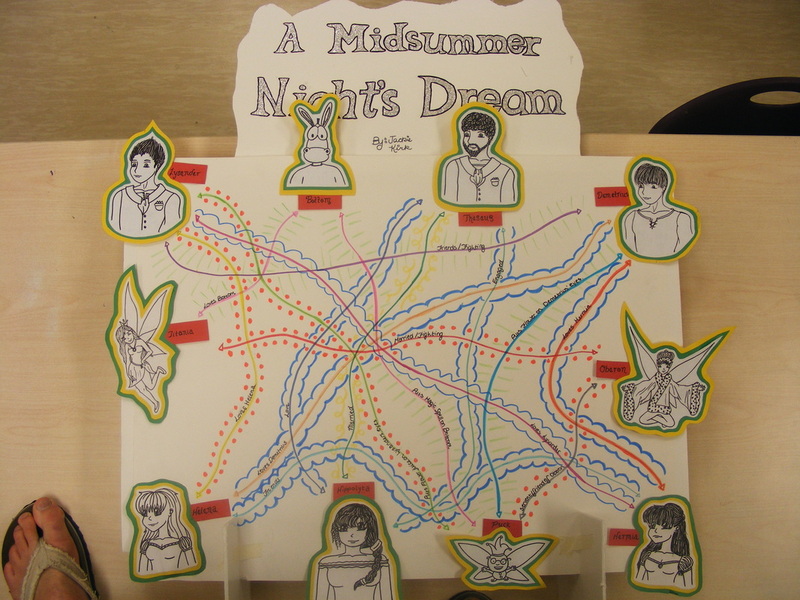 Students will be working in groups to create a simple Tableaux (Living Picture) for each scene in A Midsummer Night's Dream (with the exception of Act 1 Scene 1) (8 in total). Groups are responsible for keeping all members engaged and involved in the process. I would recommend that each group select 1 member to keep track of completed tableaux sheets. A literary sociogram is a graphic organizer that represents relationships among characters. 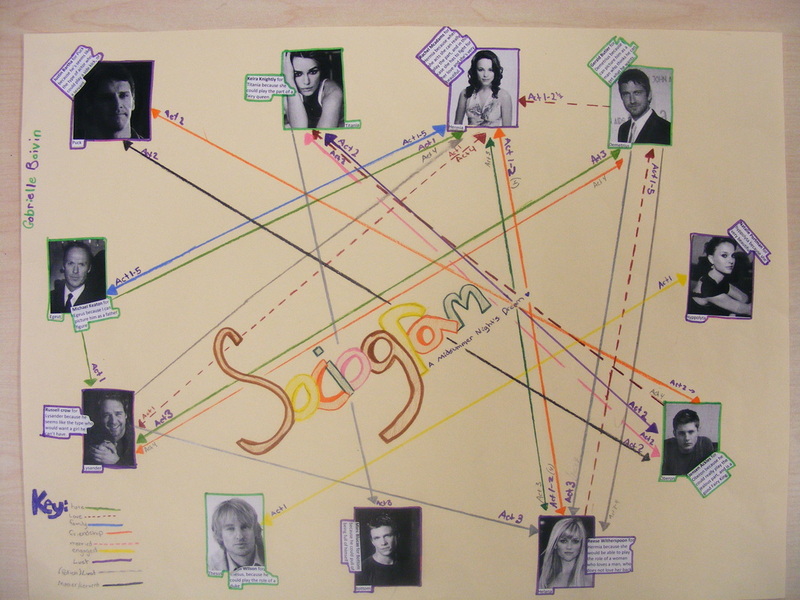 Sociograms help students think more deeply about what they read and view. Tips for Reading Shakespeare out loud! 1. Read for punctuation - pause when a pause is required, not just because it's the end of a line. 2. Consider the Rhythm - Iambic Pentameter - 10 syllables per line. 3. Add intonation and inflection - Read with FEELING and EMOTION! 4. If you get to a word you don't recognize...don't panic. Take your time and sound it out! What does Shakespeare have in common with Dr. Seuss?